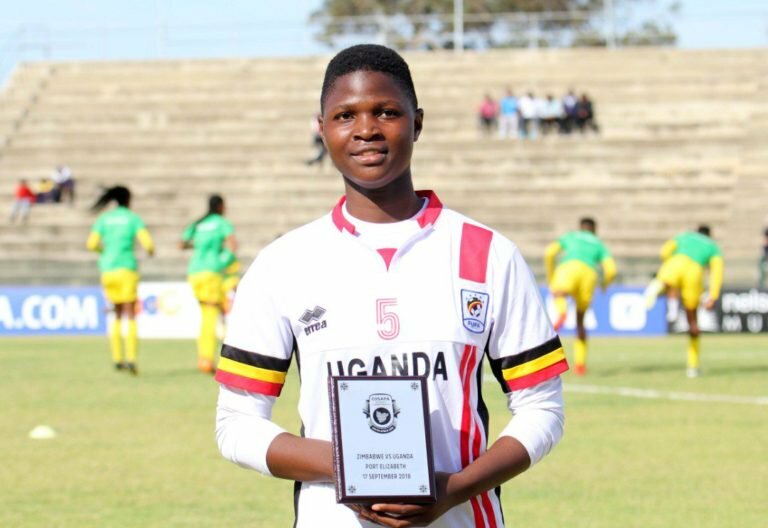 Crested Cranes defender Shadia Nankya scored seven goals as Uganda Martyrs Lubaga drubbed Watoto Women FC 10-0 at the Lubiri SS playground on Sunday. Nankya, featuring as a striker set up a new record as the first player to score seven goals in a single game in Women’s football in the FUFA recognized competitions that is the FUFA Women Elite League and FUFA Women’s Cup. The lanky defender who was a nominee in last year’s Airtel FUFA Awards, has so far scored five goals in the league for the Lubaga based school side. The 10-0 result also became the biggest victory in the FUFA Women’s Cup since its inception in 2016. Nankya’s name sake, Rashida also got herself on the score sheet together with Esther Naluyimba who grabbed a brace to complete the rout. The knock out competition kicked off on Saturday with three round of 32 games where Kawempe Muslim eliminated defending champions UCU Lady Cardinals thanks to goals from Anita Namata, Aisha Nantongo and substitute Samalie Nakachwa. Kenyan born striker Millicent Mwanzi was the hero as She Corporates edged league rivals Ajax Queens 1-0 at the MUBS Arena in Nakawa. Mwanzi is newly signed from UCU Lady Cardinals. Asubo-Gafford Ladies also ran riot against Luweero Women FC to record a 6-0 victory at Kanyanya grounds. Tanzanian striker Mariana Kimbuya scored a brace while Shakirah Mutiibwa, Joanita Nabirye Faridah Oyella and Sheebah Zalwango added a goal each. Olila High School WFC and Makerere University female side She Mak cruised to the next round without kick a ball as their opponents Amuria High school and Town View SS Bugiri didn’t turn up. Kawempe Muslim Junior Team defeated Highland SS 3-0 at the school’s playground on Sunday while Mwanda Foundation edged Jerome Uganda 4-2 on penalties following a goalless draw in normal time. The round of 32 will continue on Wednesday 13th February with Wakiso Hills playing host to Lady Doves at Wakisha grounds.